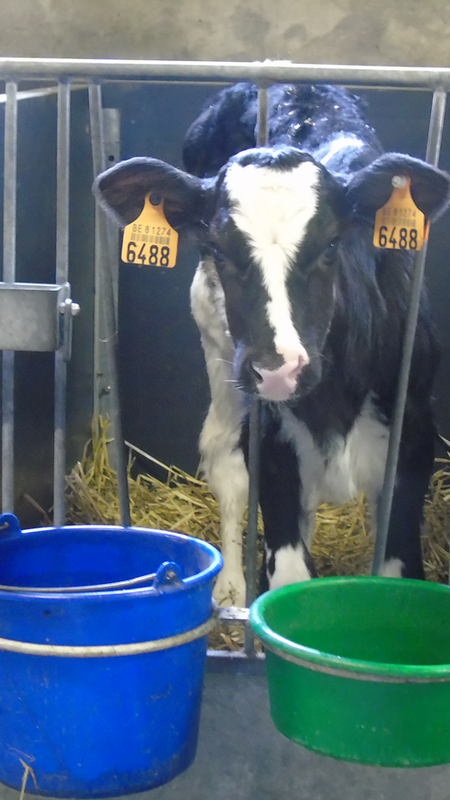 Rearing Holstein Calves: building the future! Many modern facilities for milk production spare no efforts to increase the genetic potential of dairy cattle, keeping in mind both the production and their appearance. All the attention is devoted to heifers to ensure that they can grow to their maximum potential, each according to its genetic material. Orcovet aims at contributing its part to the effort by introducing a sophisticated supplement solution for rearing dairy cattle: Orcomix Young Cattle. We will be happy to provide consultation on the rations that best suit your young stock. Our Ration Management Software takes standard feeds as the basis for calculating rations intended for different groups of young cattle. Each age group has its own specific requirements, and risks of fat infiltration (fat cells accumulating in the udder or the rest of the bovine body) should not be ignored! We strive to achieve maximal growth of bones and joints, so that the animals will show an increase in shoulder height without getting too fat. Ask our advice on rearing healthy calves! Provides maximum support for the growth and development of young stock. An integral supplement for optimal rearing of young cattle with a high genetic potential!